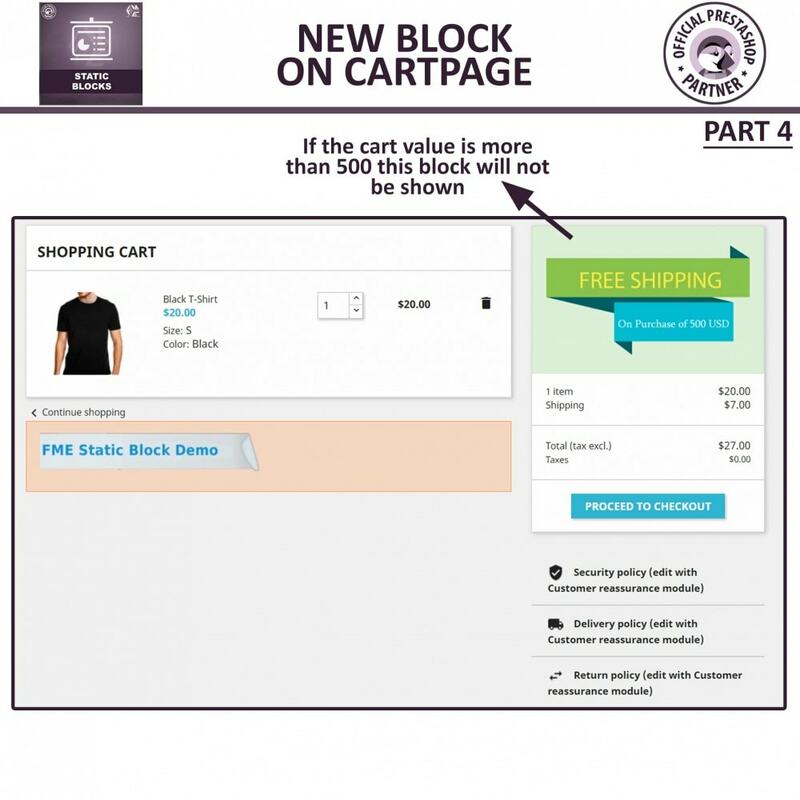 What this Prestashop Static Block Module offers? 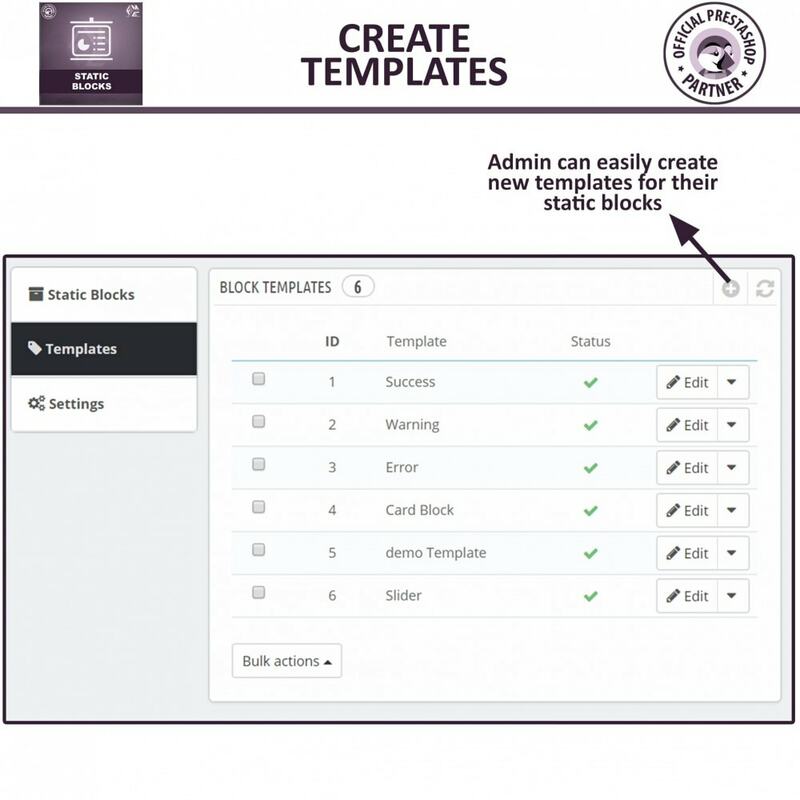 Create custom design templates for Static block using custom HTML & CSS. 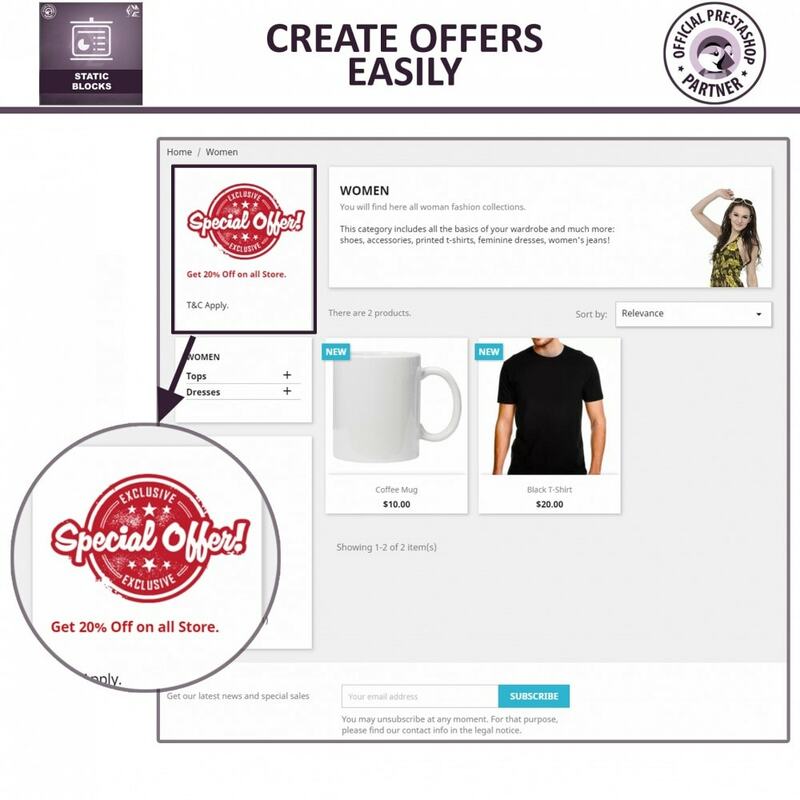 By using PrestaShop Custom HTML Block module, you can create static HTML, text, news or banner blocks and place it in header footer, cart page, left and right column of your store. 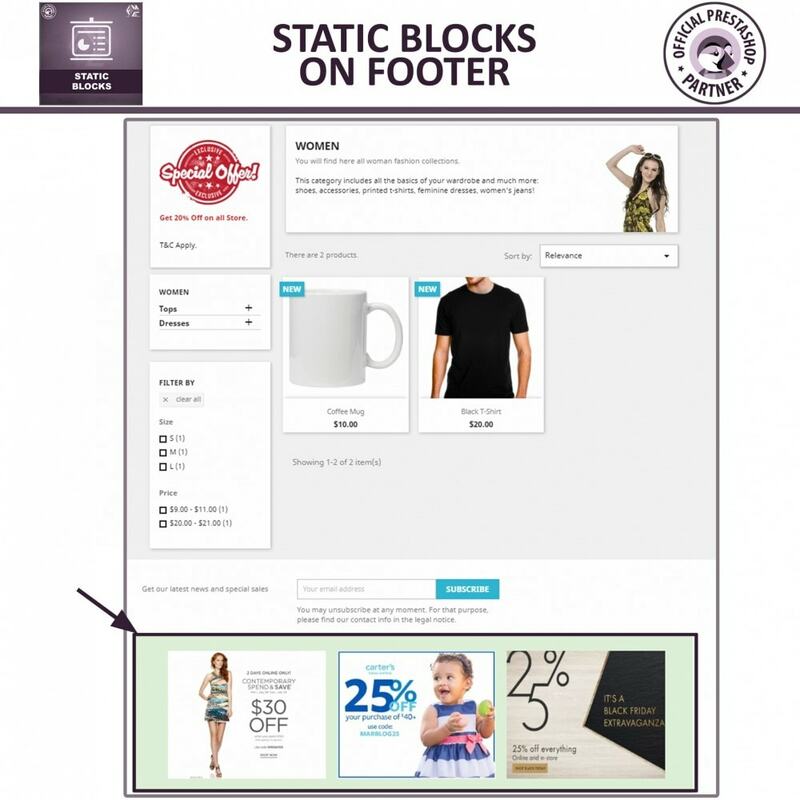 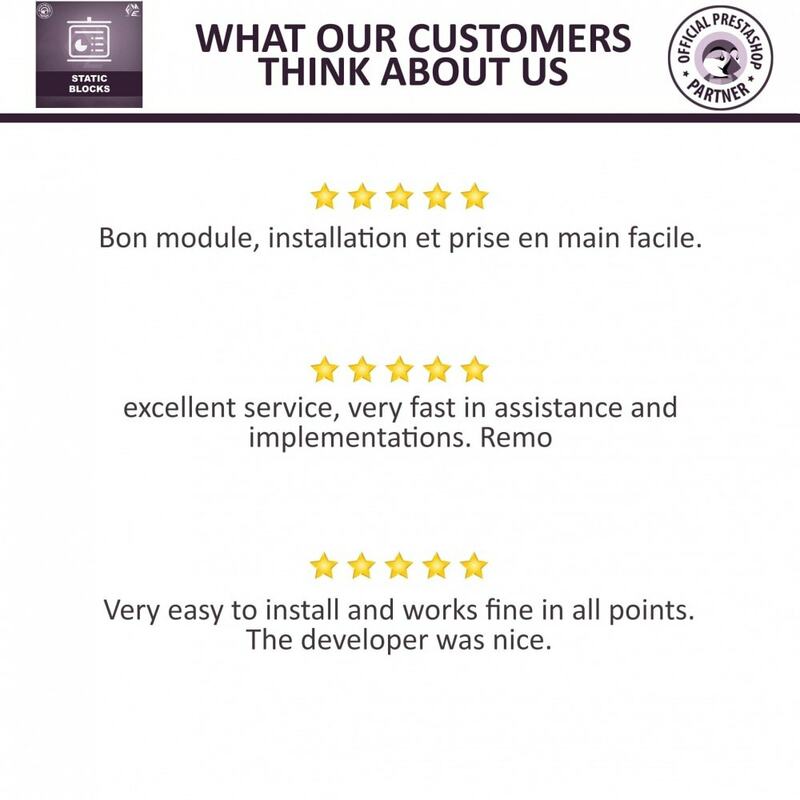 PrestaShop Blocks module allows you to create multiple static blocks. 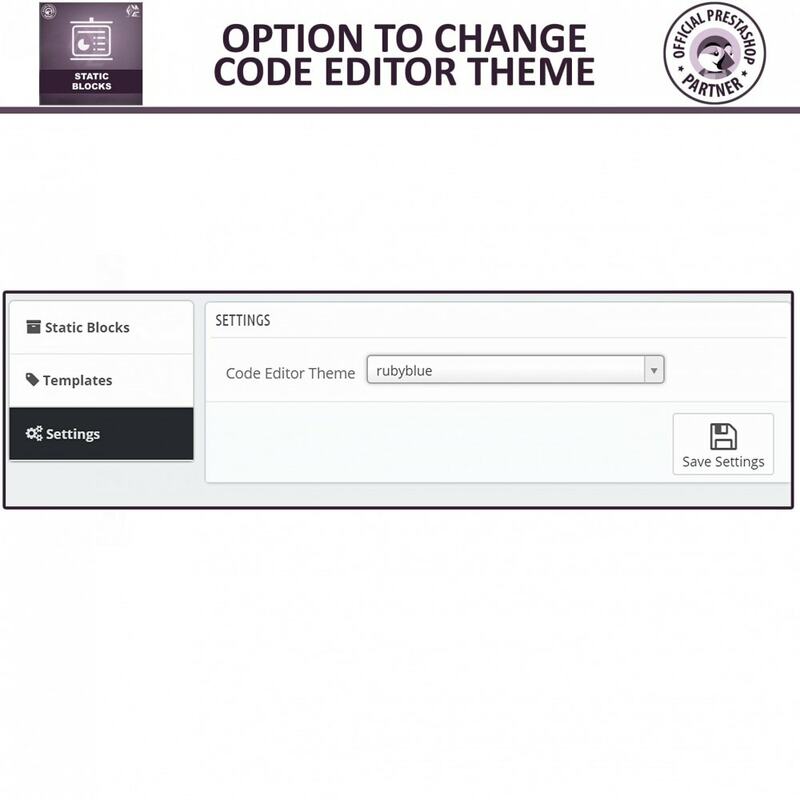 Create text, images, banners, videos, tables or any other type of static blocks. 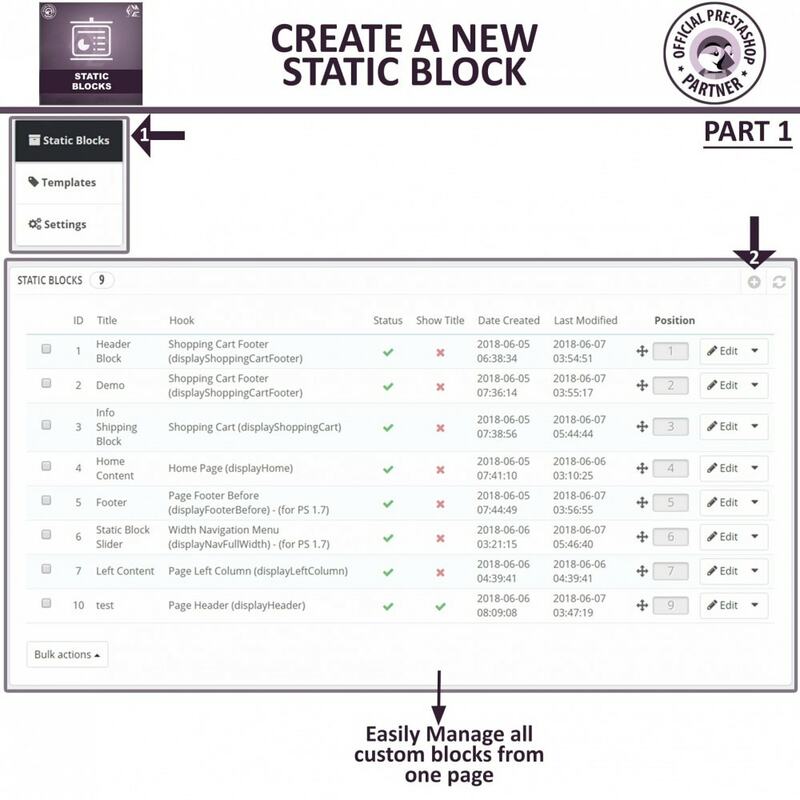 Add custom CSS & HTML to design your static block. 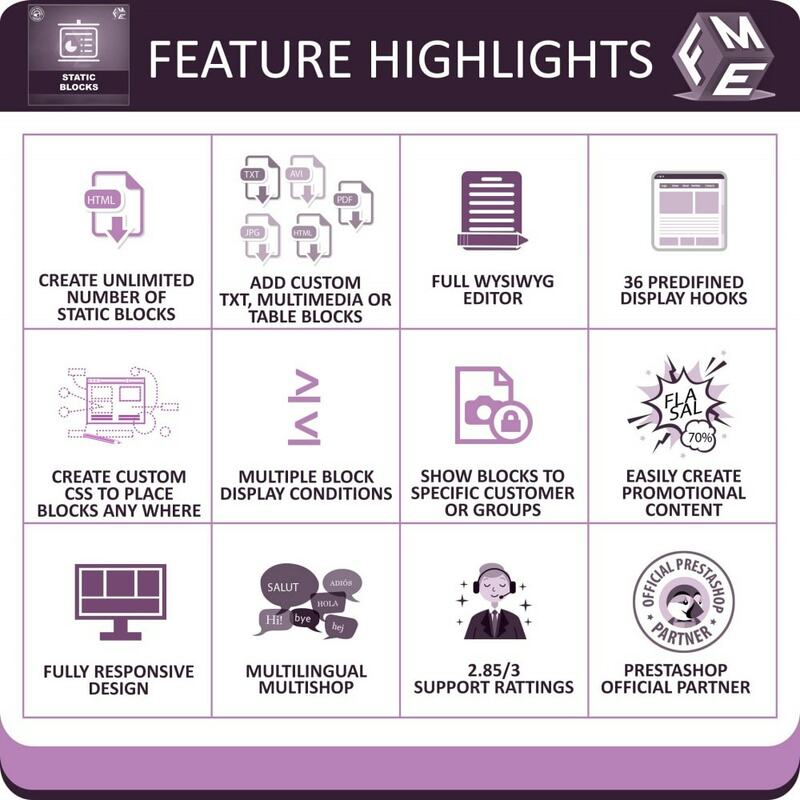 Prestsahop Static block modules comes with advanced condition options where you can add conditions with “AND” “OR” rules to display static blocks when specific condition is met. 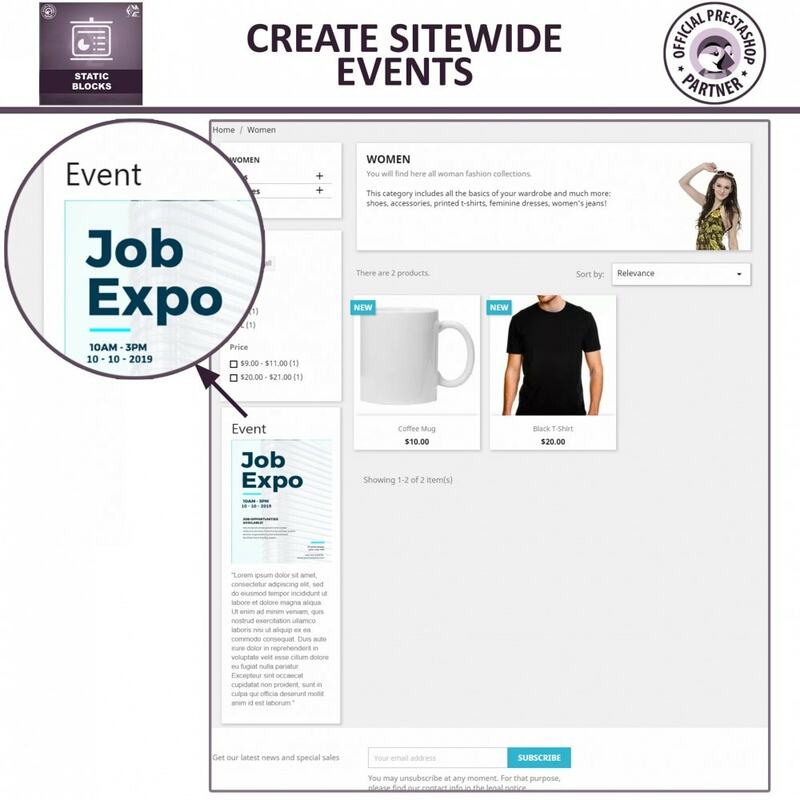 Show Static Blocks on Specific Brands & Manufacturer pages.